A gentle yet incredibly soothing ingredient that should be in anyone's bathroom cabinet. 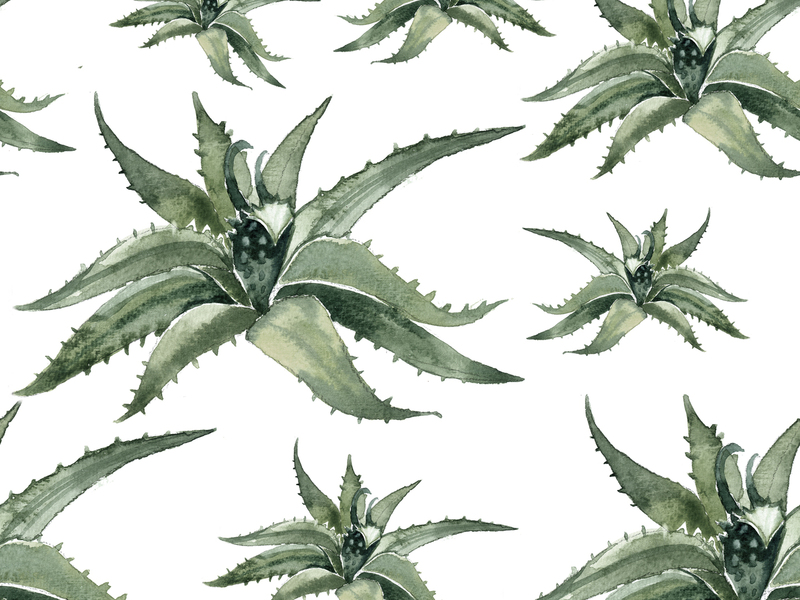 The aloe vera plant has been used for medicinal purposes for longer than almost any other plant on record. The gel extracted from aloe vera plants is rich in vitamins, minerals, enzymes, and amino acids, and has been used to treat everything from fever to skin scarring from bomb explosions. Legend has it that even Cleopatra used aloe vera gel in her daily skincare regime. Most of us have heard of aloe vera as a remedy for sunburn, but this natural elixir has many other benefits for your skin. It’s often found as a main ingredient in moisturizing beauty products, as it has powerful hydrating properties and won’t clog pores. It’s rich in vitamin A, vitamin C, vitamin E, B-vitamins, and antioxidants to fight the effects of aging. It also contains antimicrobial components to fight off acne-causing bacteria. Finally, it has healing properties to reduce the appearance of scars and other long-term damage. 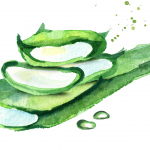 Why choose organic aloe vera gel? When compared to conventional ingredients, organic ingredients contain fewer pesticides and other synthetic chemicals that are known to be harmful to the human body. We know that these chemicals are dangerous when ingested, so it’s easy to see why we should avoid applying them to our skin. Chemicals that are applied topically to your skin can be absorbed, and can accumulate in your body over time with pernicious effects. While it’s generally a good idea to seek organic skin care products, that doesn’t mean that any ol’ organic product will be the smartest option for your skin. It’s important to seek skin care products with no filler ingredients or toxic chemicals for the sake of your health. Look for long-lasting, effective products for the sake of your budget. Luckily for you, we’ve done our homework and found you the 5 aloe vera gels with the purest formulas and longest shelf lives, so that you can feel good about your buy. Keep reading to discover the best organic aloe vera gel. Majestic Pure’s formula contains 99.7% pure, organic aloe vera gel, and has no added color or fragrance. It also contains a small boost of vitamin C to enhance the aloe vera gel’s antioxidant properties, making it even more beneficial to your skin. Aloe vera gel spoils quickly, however, so Majestic Pure has included a small amount of potassium sorbate to the formula as a preservative. This ingredient is generally considered to be safe, and will help you to get the most out of the product. This product contains 99.75% aloe vera gel from organic, cold pressed aloe. Like Majestic Pure’s formula, the other 0.25% consists of citric acid and ascorbic acid, xanthan gum to stabilize, and potassium sorbate to preserve the product’s freshness. Amara has a particularly user-friendly website with the option for delivery subscriptions, and also has a convenient return policy. If you’re not satisfied with the product, you’re entitled to a full refund. This is a particularly affordable product with excellent reviews, and the same basic ingredient list as the previous options on this list. The product comes in a dark bottle, which will help the ingredients stay fresh for longer if stored in a cool place out of direct sunlight. Art Naturals also has great shipping and returns policies. Unlike the other products on this list, Aubrey Pure’s aloe vera formula doesn’t contain any synthetic preservatives. Instead of potassium sorbate, this formula uses radish root ferment filtrate (literally, fermented radishes) to stave off bacteria and mold. There are only two ingredients in the bottle: organic aloe vera, and the radish root ferment filtrate. The aloe vera used in this product is even certified by the International Aloe Science Council! This product contains the same ingredients as the first three options on this list, with a high concentration (99.75%) of organic aloe vera gel. Green Leaf’s product also comes in a dark bottle to boost its shelf life. There are many uses for organic aloe vera gel. You can apply it directly to your skin as an after-sun treatment, a remedy for itchy bug bites, a treatment for acne and/or wrinkles, or a nourishing moisturizer for face and body. To yield the full benefits of aloe vera for skin, try including it in a DIY face mask with aloe vera. Just combine 1 tablespoon of organic aloe vera gel, 2 teaspoons of matcha green tea powder or finely blended avocado, and ½ tablespoon of honey. Mix the ingredients until they are thoroughly combined, and then apply the face mask to clean skin. Let it sink in for 10-20 minutes, then rinse. You can also make a DIY exfoliant with aloe vera by combining 2 tablespoons of organic aloe vera gel with 1 tablespoon of brown sugar. Gently brush the mixture into clean skin in small, gentle, circular motions. Then rinse away to enjoy soft, glowing skin! Aloe vera can also be used as a conditioning treatment for hair, due to its vitamin content and moisturizing properties. Try using it alone as a leave-in conditioner by scrunching a teaspoon or two into your ends and then combing through the full length of your hair. Or try a DIY hair mask with aloe vera by combining 2 tablespoons of organic aloe vera gel, 1 tablespoon of castor oil or jojoba oil, and the whites of 1-2 eggs. Blend the ingredients thoroughly and apply the mixture to clean, damp or dry hair. Let the ingredients sink in for 20 minutes, and then rinse them away. As you can see, organic aloe vera gel has many benefits for skin and hair health. If you want to experiment with different uses for the product, try combining it with different essential oils and other natural ingredients to create homemade hair and face masks. Its versatility and powerful hydrating effects make it a great product to have on hand.